1. Mobile devices have a smaller screen. This is painfully obvious, but have you designed for it? 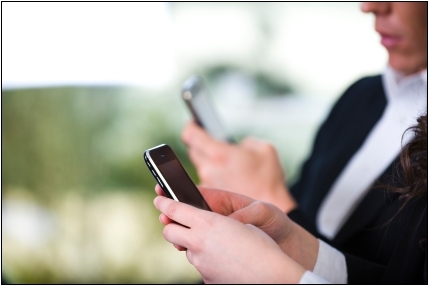 Mobile screens are changing e-mail messaging structures. I read an Infusionsoft report that highlighted this and implored customers to pay attention to the mobile screen. Dozens of others have followed suit. What will your customers see on a smaller screen? Is the subject line more important than ever because it is all they might see? It is frequently stated that e-mail is dead due to mobile and social networks. E-mail is far from dead. Although stats show that many people are migrating to social networks to communicate, consider the fact that Facebook recently decided to create an e-mail platform. Why? Because people need and want more than short updates and chat to communicate. If you’re wondering what your e-mail might look like on a mobile device, Web-based service provider Email on Acid lets you test your e-mail as it will appear on many browsers and mobile devices. The smaller mobile screen will also impact how a customer sees your website. Many mobile devices don’t allow or use Flash technology, so you have to think about that. It may be worth considering a mobile marketing platform instead. One of the top mobile site builders is mobiSiteGalore. Yes, it would be a pain to maintain two sites, but it could also be more cost effective. 2. Location, location, location used to be the real estate world’s maxim, but should now be the marketing and small business owner’s maxim. Location-based offers and services will change how customers engage in almost every way. Customers have the ability to be hyper-connected with their social networks. You have only to look at Foursquare and Gowalla to get a glimpse of the power of location. 3. Use of mobile apps is growing. Whether you know it or not, customers are scanning and comparison shopping, on the spot, in your retail store. Search and search engine optimization are rapidly changing. On the Droid X I’m testing and will be reviewing here shortly, one of the top apps was a barcode scanner used via the smartphone camera. Think of how you can tie mobile coupons to your offers. I worked on a project in Japan years ago; in that country, I could use my cell phone to pay for an in-store purchase. Japan leads U.S. mobile technology by five to 10 years and possibly Europe and other parts of Asia by one or two years. Along with your Google Places (or Facebook Places) page, you can add a QR code (like a barcode) to your site, to your retail store window and your e-mails. The viewer or recipient can scan that code with a smartphone and receive a special offer or welcome message. There are a few easy QR creation sites out there if you want to create a code for your site, e-mail or storefront. 4. Text messaging still matters. Even with the growth of iPhones and Droid-powered smartphones, these are still only a slice of the mobile market. Millions of people are still engaging via text messaging and SMS platforms. Your customer will opt-in to text message (SMS) offers. You don’t have to wait for smartphone usage to completely dominate. Text is a favorite way consumers communicate, but is not used often enough as a way to market. Again, this isn’t spam, but permission-based marketing. One of the best posts I’ve read about mobile marketing trends came from one of our contributors, Paul Rosenfeld of Fanminder. Granted, Paul is in the mobile marketing (SMS) space and has some bias, but he paints a fair picture from all I’ve seen and studied about mobile. One important note from that post: “Gen Yers (18-29) say their phone is the most important device they own.” I would argue that other generations are saying the same thing. If you want to get just a taste of the many mobile applications for small business, read my 19 Mobile Apps post. What mobile apps are you using, developing, or researching? Please share them here in the comments.